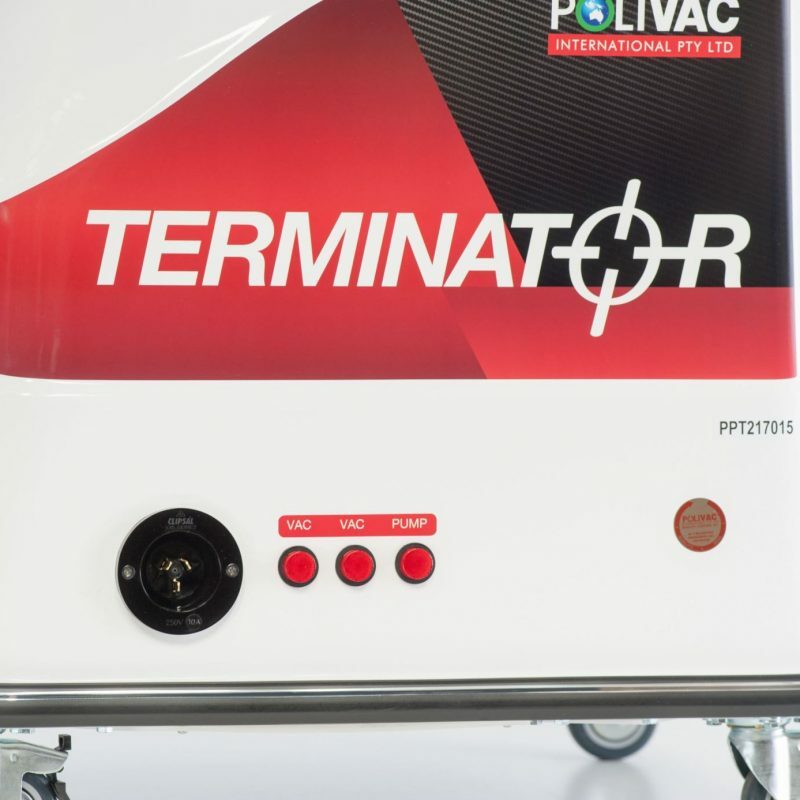 Polivac International is now recognised as Australia’s leading manufacturer of commercial cleaning equipment and a major exporter of advanced cleaning technology worldwide. 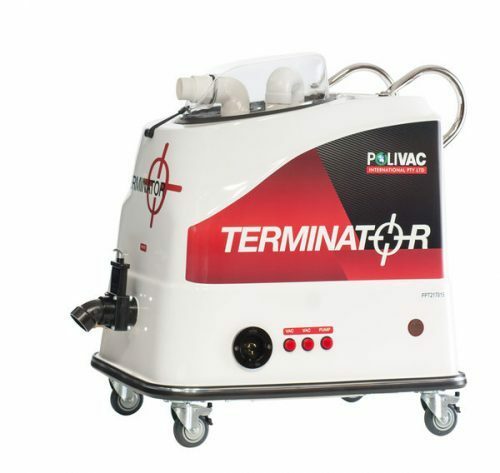 Polivac Predator Carpet Extractor is a portable, fully-featured carpet extraction machines. 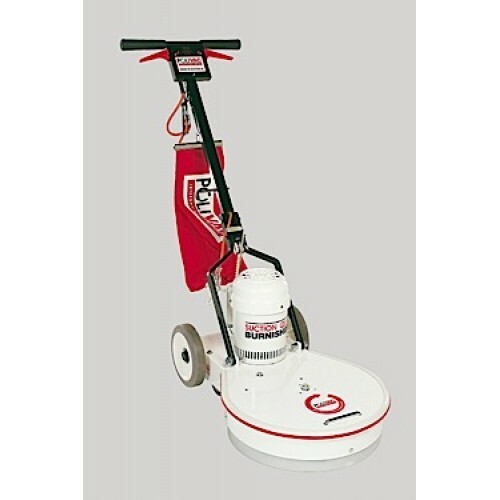 For small or large scale carpet cleaning and flood recovery. All-Australian designed and built. 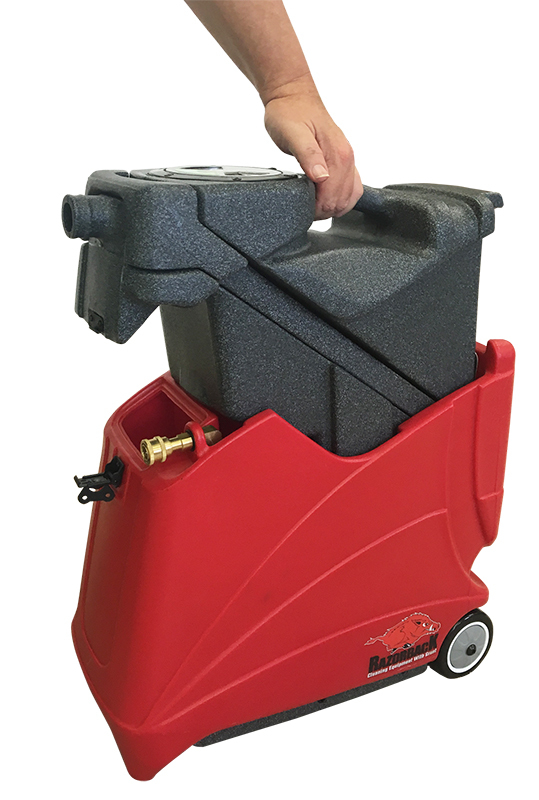 Models available: MKI -100psi, MKII -500psi and MKIII -1000psi. 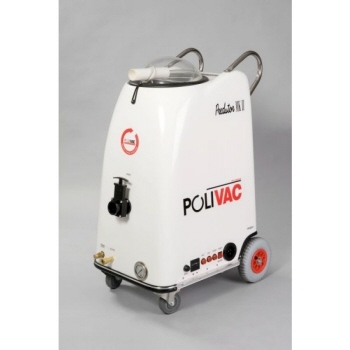 POLIVAC C27 WITH SHAMPOO TANK - CALL US FOR PRICE! Razorback XSPOT Spot Extractor is an innovative, powerful, clever, excellent tool for the Spotting Pro. 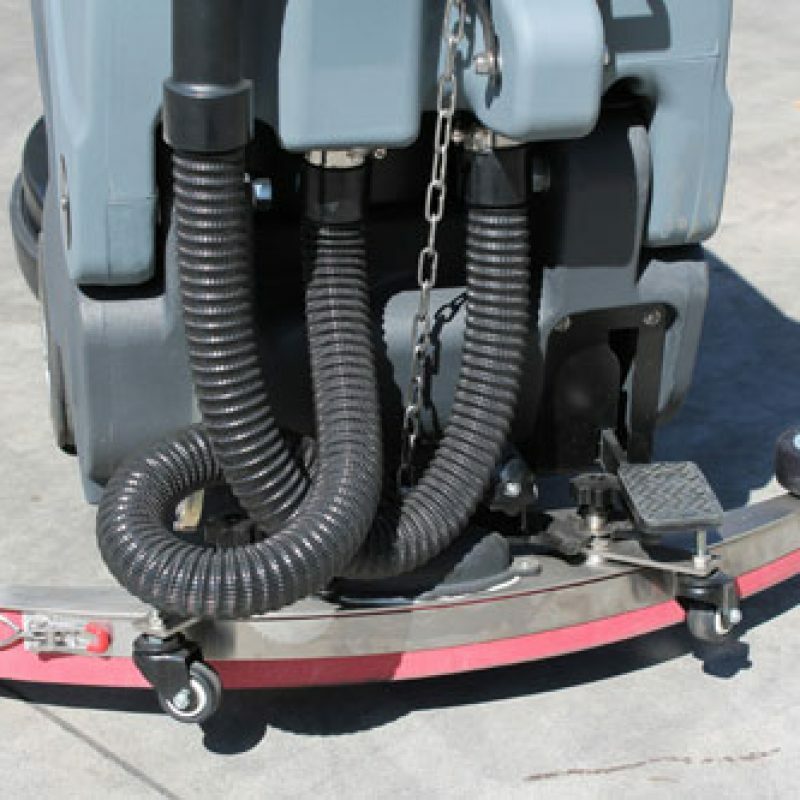 Designed with simplicity and durability in mind and performance only found on large extraction equipment. 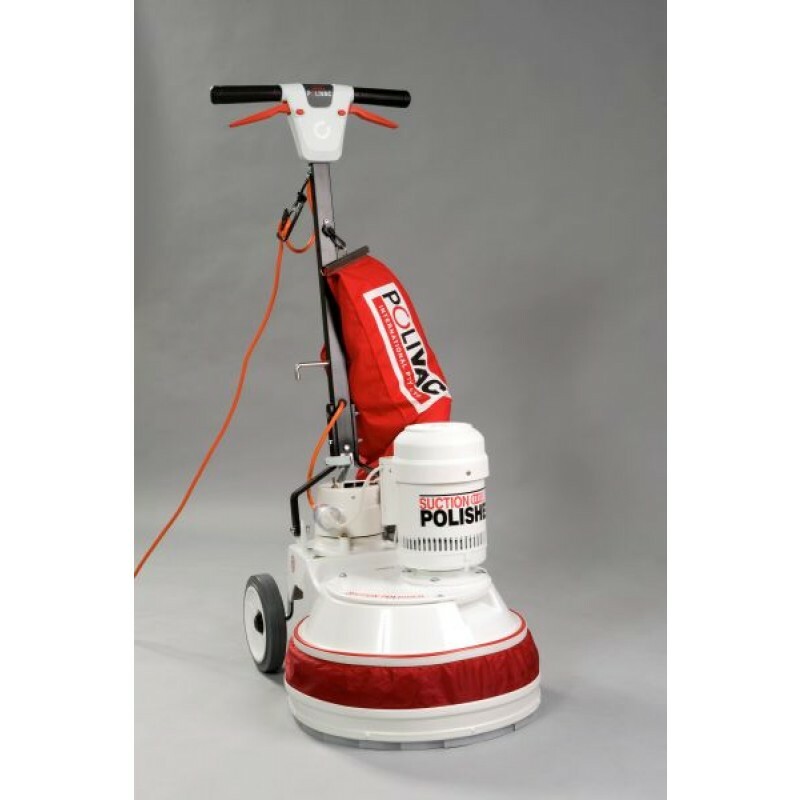 The Polivac A23 Mini Scrubber is ideal for cleaning everything from your bathroom to lounge room. The Mini scrubber can be used on polished concrete, granite, marble, tarkett, terrazzo, vinyl and carpet. It has quality australian design and build. 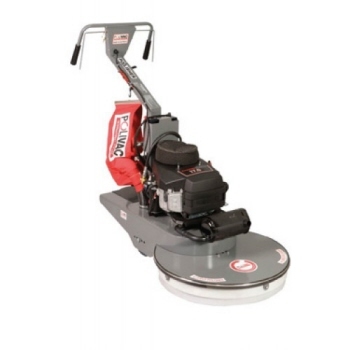 Suitable for cleaning hard floors and carpeted areas. 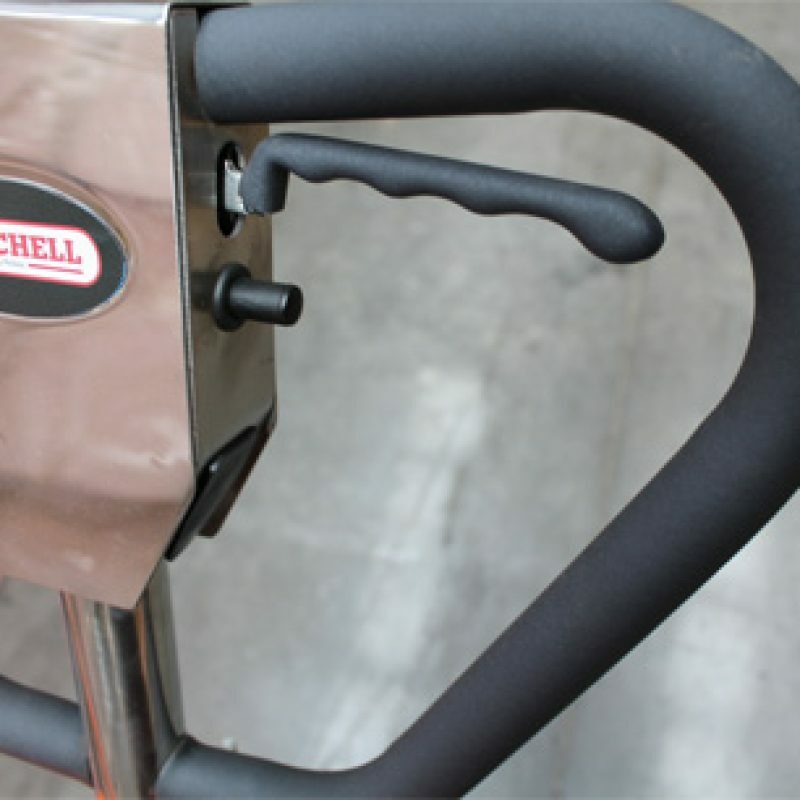 Height adjustable handles for use by multiple operators. Note: This is an ex-demonstration unit in very good condition. With pad holder also available. 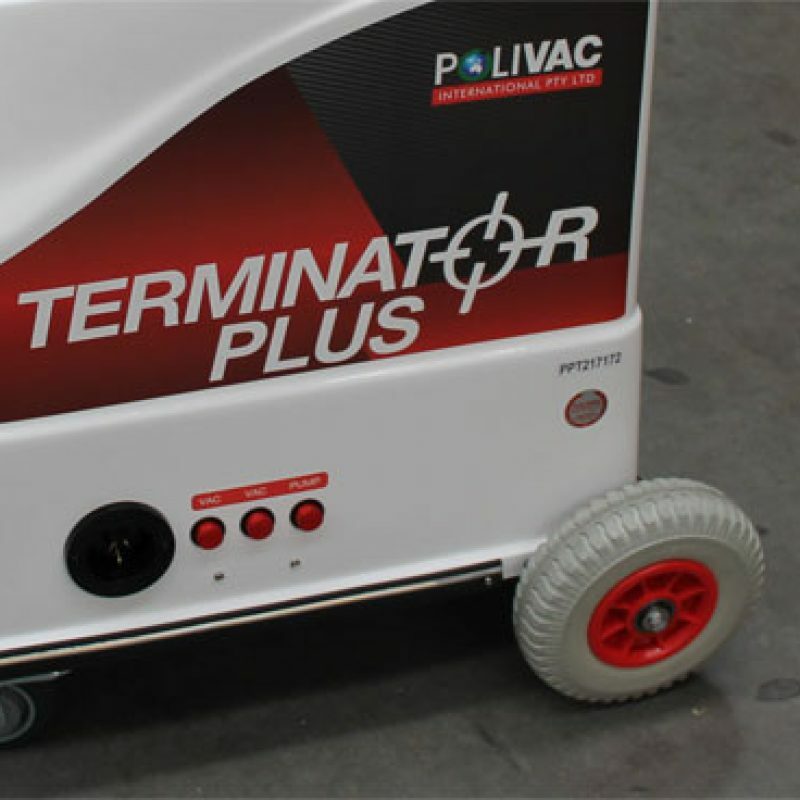 Polivac 1700E Automatic Floor Scrubber has a 40 cm all-in-one self -propelled autoscrubber, 750 square metres per hour coverage, highly maneuverable - turns 360 degrees in 1 metre. Lays solution, scrubs and picks up in one pass. All-Australian designed and built. Polivac C25 Non Suction Polisher is highly reliable industry workhorse. It is all-Australian designed and built non-suction polisher with adjustable handle and a 15m heavy duty lead. Based on the proven PV25 Suction Polisher. 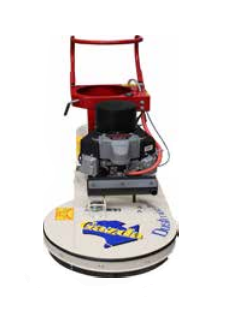 It offers fast and effective cleaning for vinyl, terrazzo, marble, polished concrete and timber floors. Ideal for cleaning in hospitals, schools, hotels and basketball courts. Note: With pad holder also available. 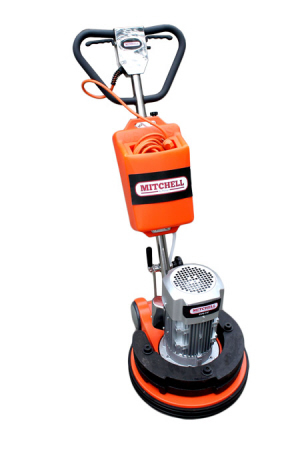 All-Australian designed and built mini scrubber. Best for: bathrooms, toilets and home polishing. 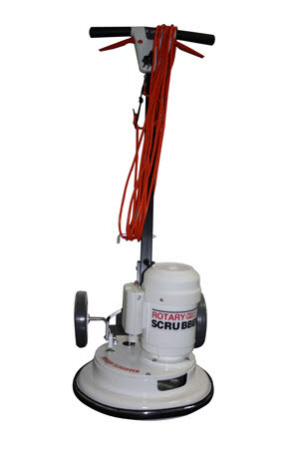 It has 4 pole, 0.56 kw (0.75 hp), 50hz, 220-240 volts motor, 187 r.p.m brush speed, 30cm brush / pad size, sealed, oil-filled 'Polidrive' single reduction helical gear gearbox, height adjustable handle, 15 metre heavy duty lead, polypropylene body and fitted with clutch system. 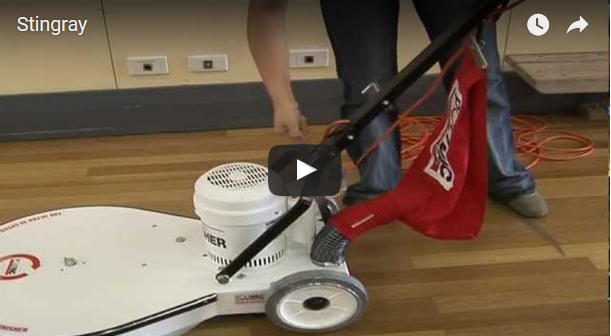 Recommended for concrete, marble, terrazzo, timber floors and vinyl. Note: 2 years warranty on motor and gearbox and 1 year warranty on parts. With pad holder also available. 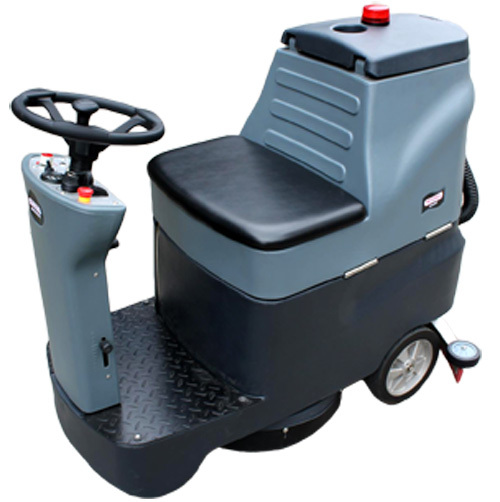 Note: With short trim pad holder and speed short trim pad holder are also available. 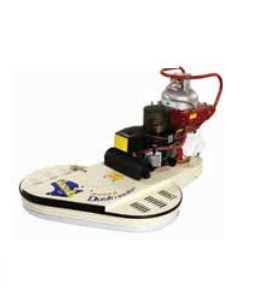 Electric Floor Polisher PV Hospital Suction Polisher 40cm, 420 rmp, 1300 watts2 pole drive motor, 300 watts Vac motor, bassine brush (provac). Based on Polivac's suction polisher, the PV25HC features the addition of a microstaph filtration canister. All Australian designed and built. Powerful 1.4kw (1.88hp) drive motor. 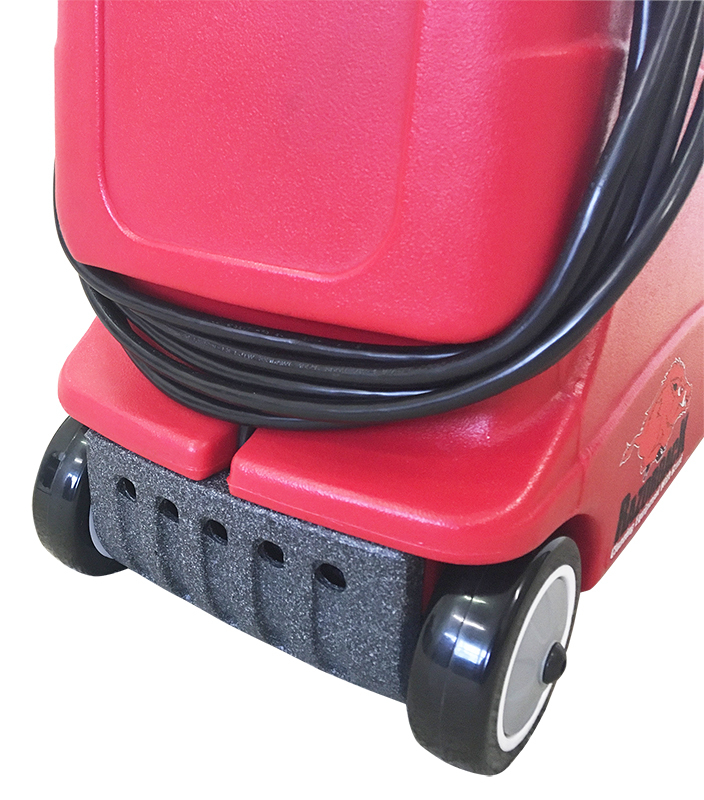 300 watt vac. Brush speed - 392 rpm. 40 cm (15.7") wide track. 15 metre, heavy duty, rubber, flexible, safety lead. Height adjustable handle suits most operators. Weight - 46kg (101.2lbs) including brush and handle. Body - industrial enamel and powder coated, cast aluminum alloy. Oil filled, sealed "Polidrive" gearbox for exceptional long life. Quick Release System. Parts available all over Australia. 120 Distributors. Warranty: 2 years on gearbox. 1 year on parts. 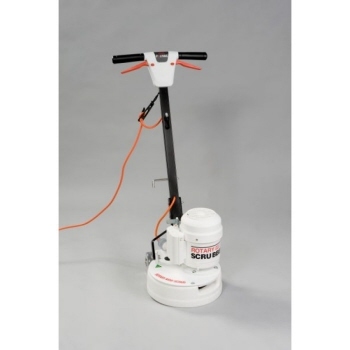 NOTE: 110 volt motor and with pad holder also available. 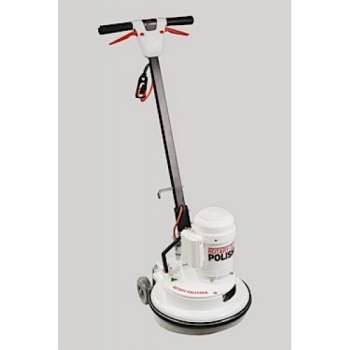 Electric Floor Polisher PV Dual Speed Non Suction Polisher 40cm192 rmp, 550 watts / 420 rmp, 1100 watts, 2/4 pole Inc. bassine brush (provac). 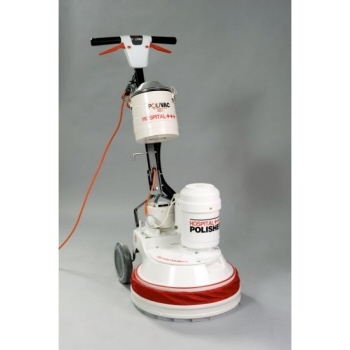 Polivac Dominator Ultra High Speed 40cm (15.7") burnisher for fast-set, full gloss, wet look floors. It has All-Australian designed and built. It has 1.6kw (2.1hp) motor, pad speed of 1700rpm. Parts available all over Australia. Warranty - 2 years on motor. 1 year on parts. Note: Brushware version also available. 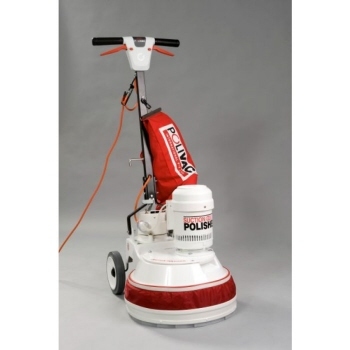 Polivac Stingray Ultra High Speed 50cm (19.7") burnisher for fast-set, full gloss, wet look floors. It has All-Australian designed and built. It has CMG 1.8kw (2.41 hp) motor, pad speed - 1500 rpm. Parts available all over Australia. 120 Distributors. Warranty - 2 years on motor. 1 year on parts. All-Australian-designed and built straight-line gas burnisher. It is over 1900sq. metres per hour coverage. Contour following system for consistently even floor finish. Ultra-manoeuvrable, high productivity unit where speed is critical. 9.69kw (13hp) or 11.19kw (15hp) Honda motor. A 14.17kw (19hp) Kawasaki V-Twin is also available. Belt drive. Electric start. 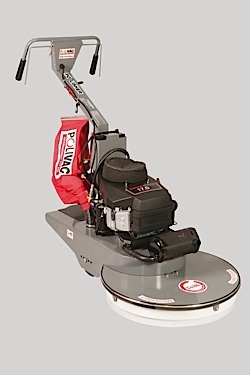 It is fully adjustable handle and throttle control, bias control, 50cm (20") pass width, pad speed of 2500rpm. 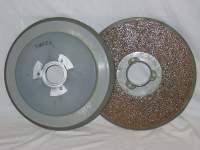 Vacuum of single stage, active centrifugal with metal impeller. Battery of 12 voly, 20 amp hour, gel, sealed. Noise - 89db. Finish - industrial enamel and powder-coated. Weight - 95kg. Gas bottle of 9kg optional. Parts available all over Australia. 120 Distributors. Warranty - 1 year on motor and parts. Motors available in 9.69kw (13hp) Honda, 11.19kw (15hp) V-twin version and 12.68kw (16hp) Kawasaki. Note: 9kg Gas bottle NOT included. All-Australian-designed and built straight-line gas burnisher. It is over 2400sq. metres per hour coverage. It has high productivity unit where speed is critical. 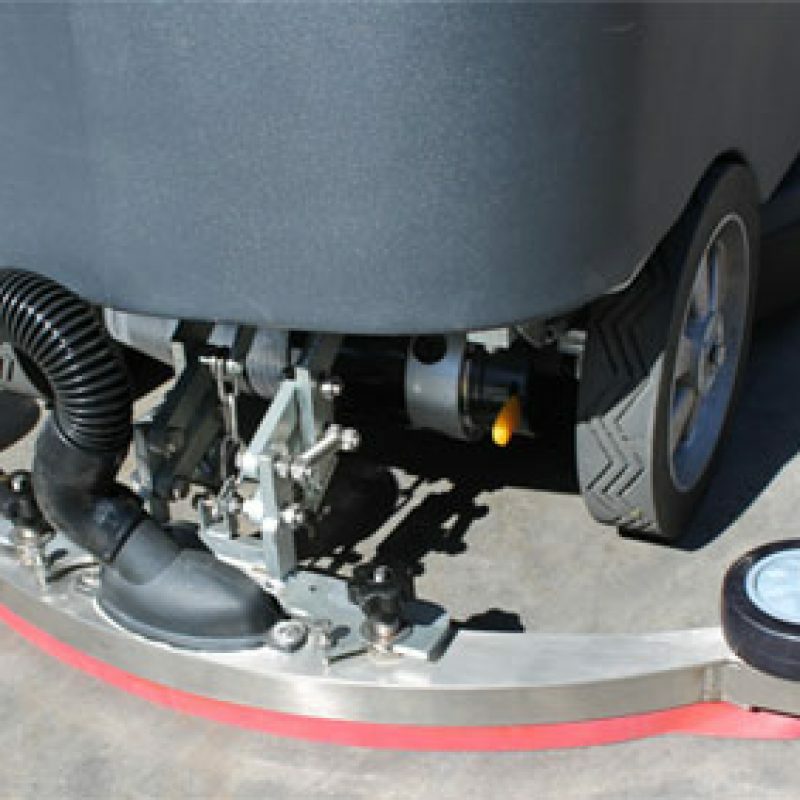 Contour following system for consistently even floor finish. 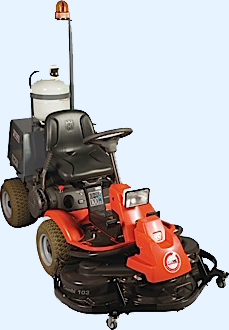 It has 11.25kw (15hp) Honda or 12.68kw (17hp) Kawasaki motor. A 14.17kw (19hp) Kawasaki V-Twin is also available. It has Belt drive. It is Key electric start. 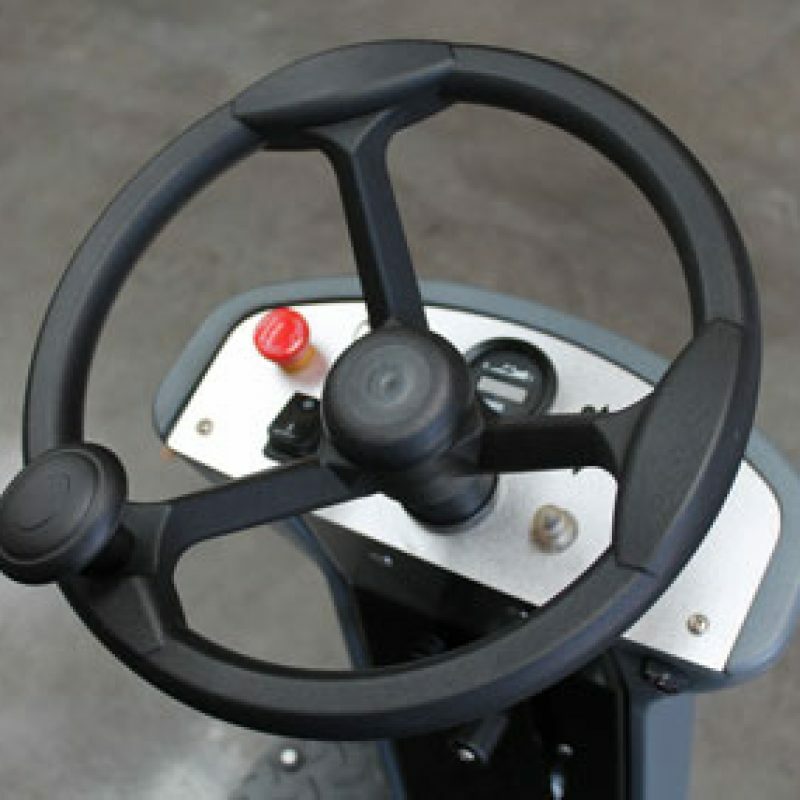 It has fully adjustable handle and throttle control. It has Bias control. 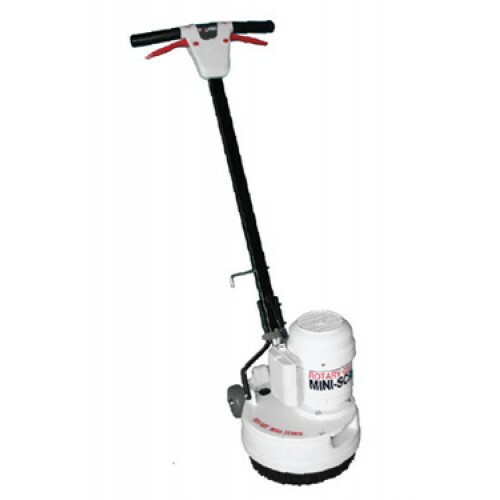 It has 60cm (24") pass width, pad speed of 2500rpm, vacuum of single stage, active centrifugal with metal impeller, battery of 12 volt, 20 amp hour, gel, sealed, noise - 89db. Finish - industrial enamel and powder-coated. Weight - 110kg. Gas bottle - 9kg optional. Parts available all over Australia. 120 Distributors. Warranty - 1 year on motor and parts. 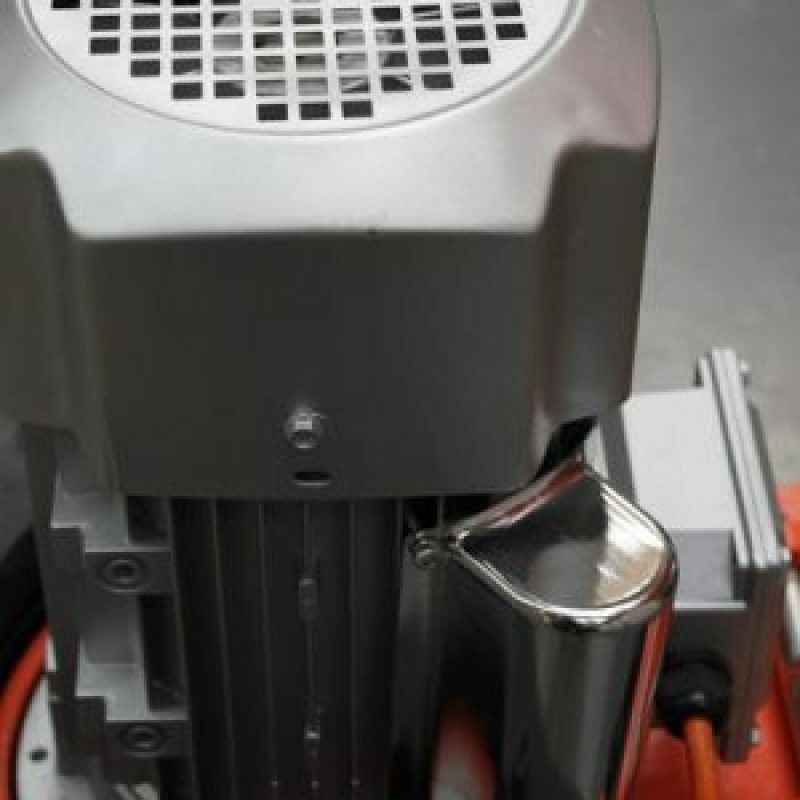 Motors available in 11.25kw (15hp) Honda and 12.68kw (17hp) Kawasaki motor. All-Australian-designed and built straight-line gas burnisher. Over 2400sq. metres per hour coverage. High productivity unit where speed is critical. Contour following system for consistently even floor finish. 11.25kw (15hp) Honda or 12.68kw (17hp) Kawasaki motor. A 14.17kw (19hp) Kawasaki V-Twin is also available. Belt drive. Key electric start. 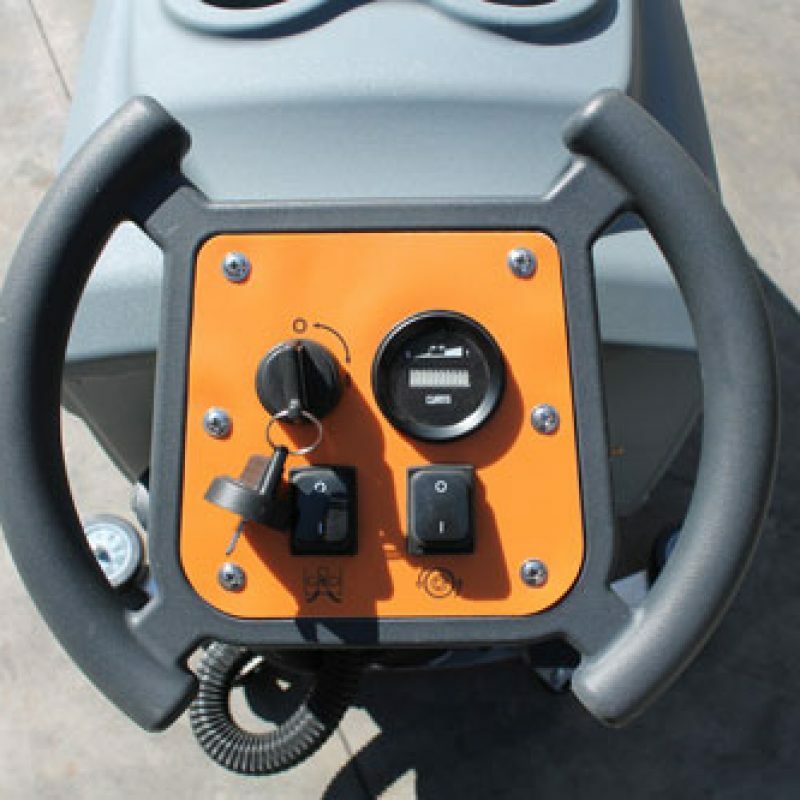 Fully adjustable handle and throttle control. Bias control. 60cm (28") pass width. Pad speed - 2500rpm. 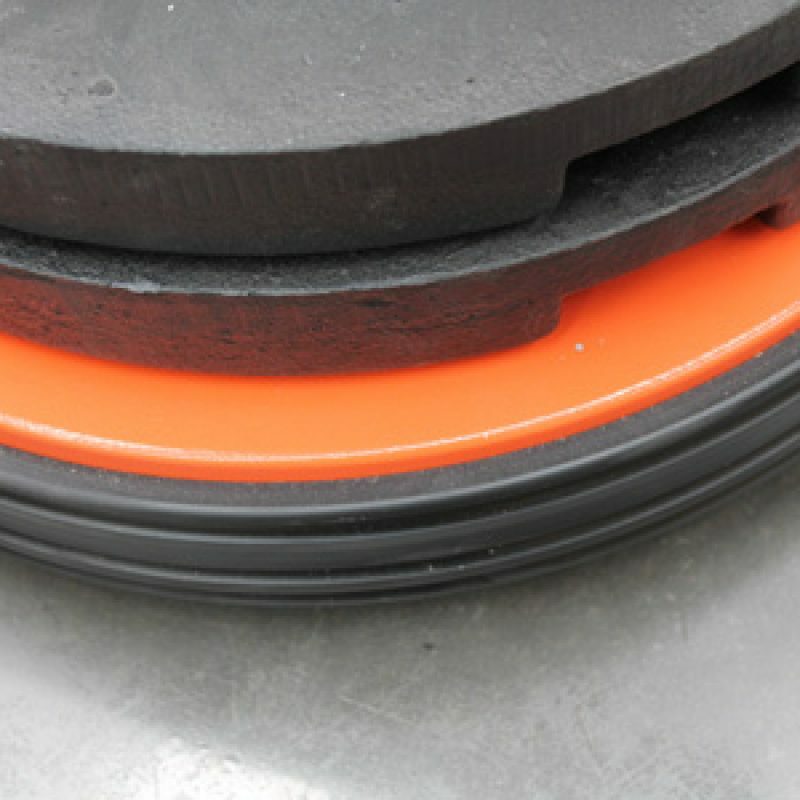 Vacuum - single stage, active centrifugal with metal impeller. Battery - 12 volt, 20 amp hour, gel, sealed. Noise - 89db. Finish - industrial enamel and powder-coated. Weight - 115kg. Parts available all over Australia. 120 Distributors. Warranty - 1 year on motor and parts. Motors available in 11.2kw (15hp) Honda and 12.68kw (16hp) Kawasaki. 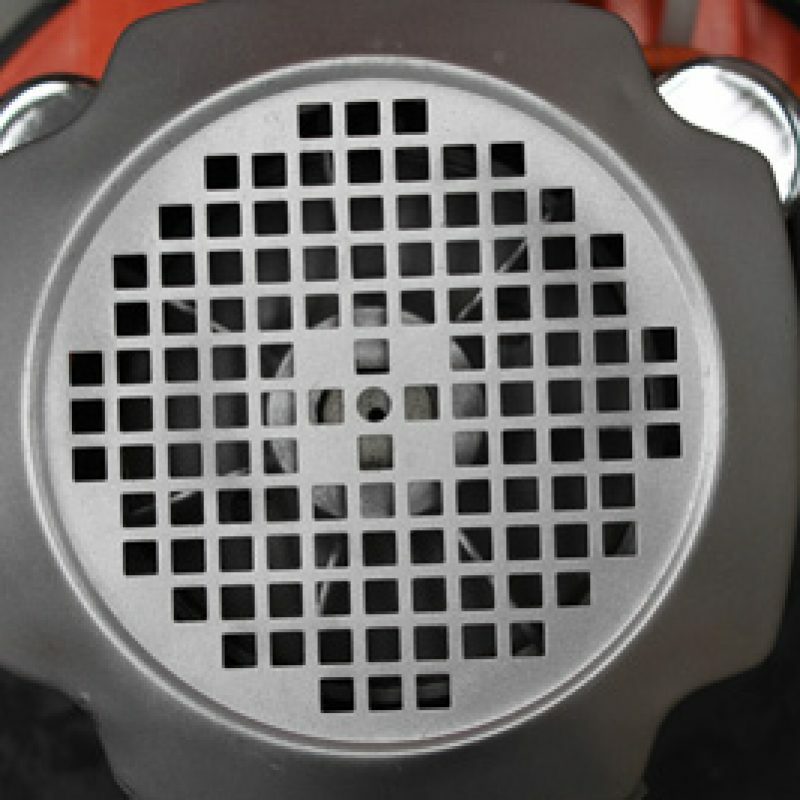 •All-Australian-designed and built straight-line gas burnisher. •Over 3700sq. metres per hour coverage. •High productivity unit where speed is critical. •Contour following system for consistently even floor finish. •Ultra-manoeuvrable, high productivity unit where speed is critical. 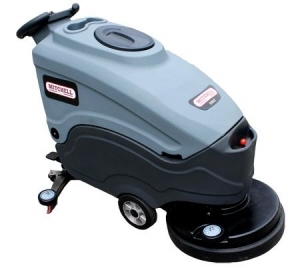 •Vacuum - single stage, active centrifugal with metal impeller. •Battery - 12 volt, 33 amp hour, wet, sealed, long life. •Finish - industrial enamel and powder-coated. •Gas bottle - 9kg optional. •Parts available all over Australia. 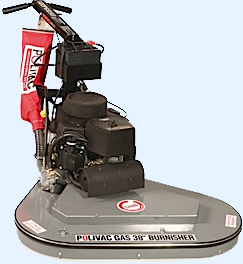 Polivac 22” or 53cm Gas burnisher with 16 hp V-twin Kawasaki motor. Battery start. 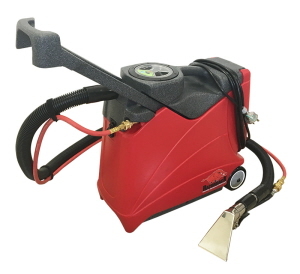 Dustmaster Suction System. Single 53cm pad. 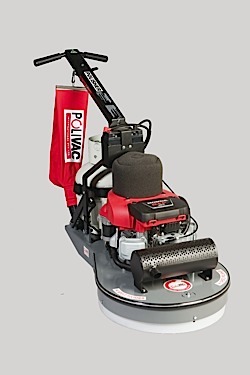 Polivac 32” or 82cm Gas burnisher with 20 hp V-twin Kohler motor and with 22 hp V-twin Kawasaki motor. Battery start. 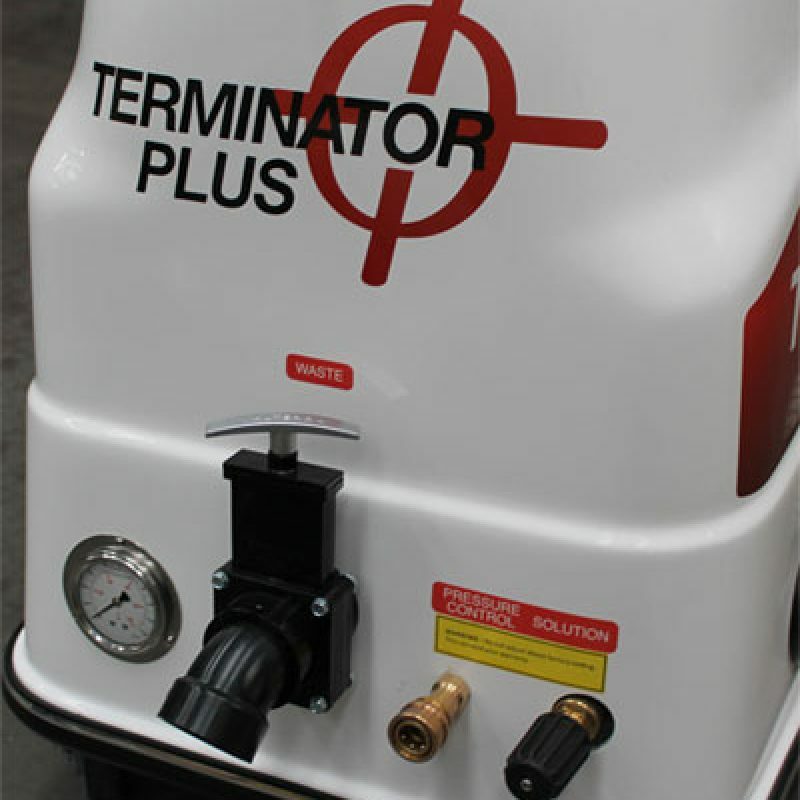 Dustmaster Suction System. Twin Pad holders. 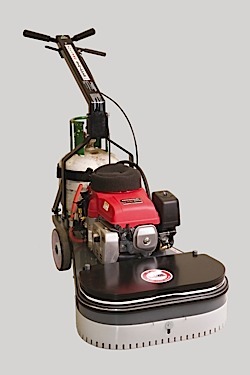 42” or 106cm Gas burnisher with 20 hp V-twin Kohler motor and with 22 hp V-twin Kawasaki motor. Battery start. Dustmaster Suction System. Twin Pad holders. 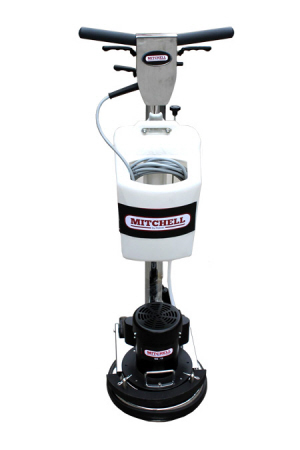 Mitchell BRUMBY ride-on scrubber/dryer integrates both scrubbing and drying in one machine, leaving the floor clean and dry in a single pass. 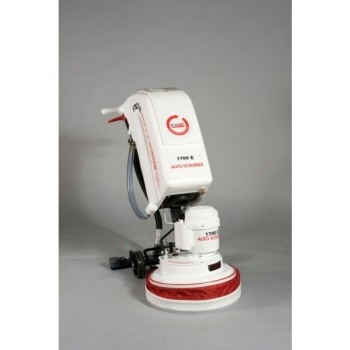 Its compact and built tough to last in commercial cleaning environments. 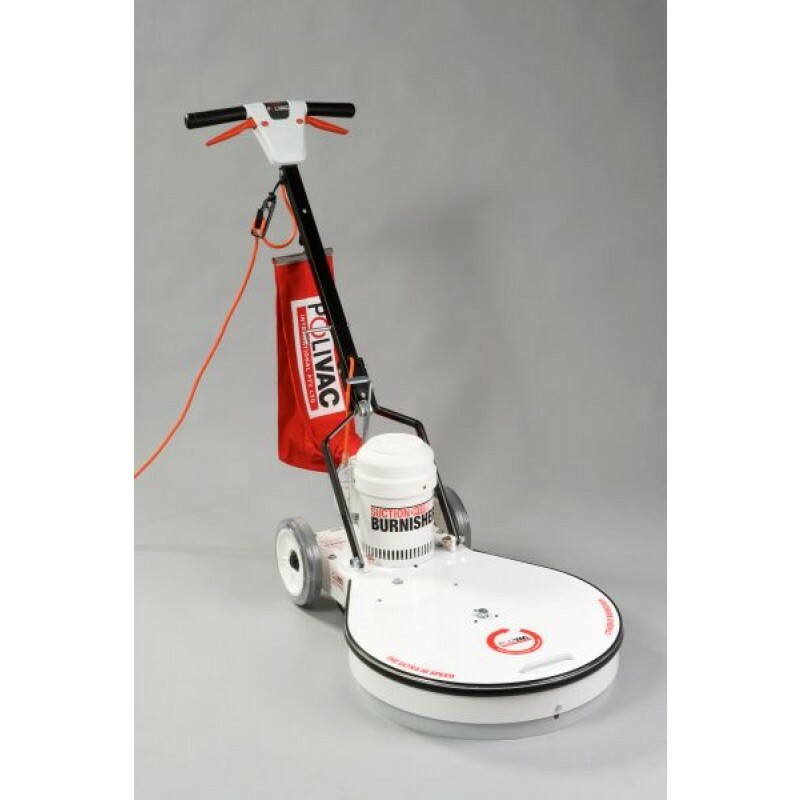 It is equipped with a quiet electric motor producing a low noise output of 58dB and capable of continuous 3-4 hours operation with a single charge. 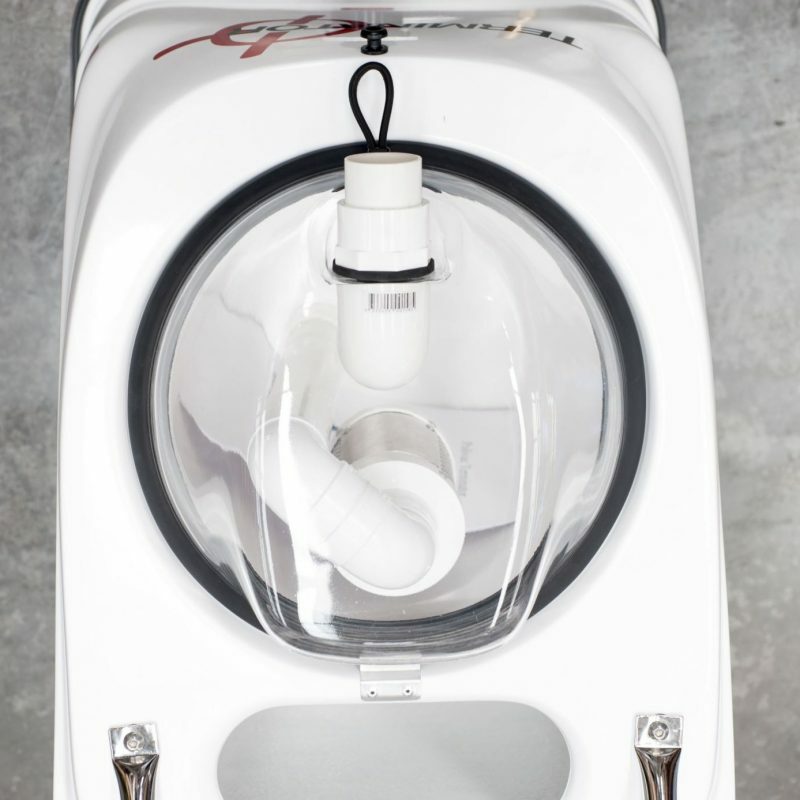 It can fit into most elevators for multi-storey transport and capable of cleaning tight spaces efficiently due to its compact size. Mitchell KVG-17F Multi-purpose Floor Scrubber is commercial grade floor machine capable of handling many tasks from sanding and stripping to scrubbing and polishing on various hard surfaces. 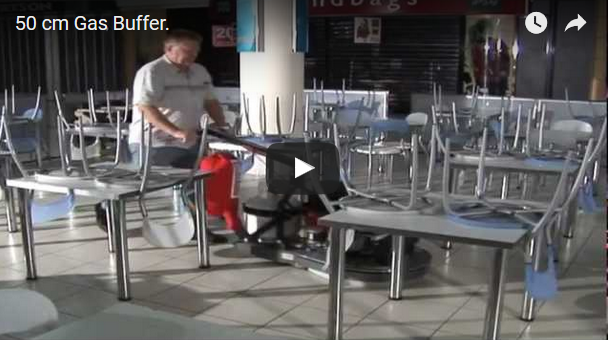 Compact and built tough to last in commercial cleaning environments. 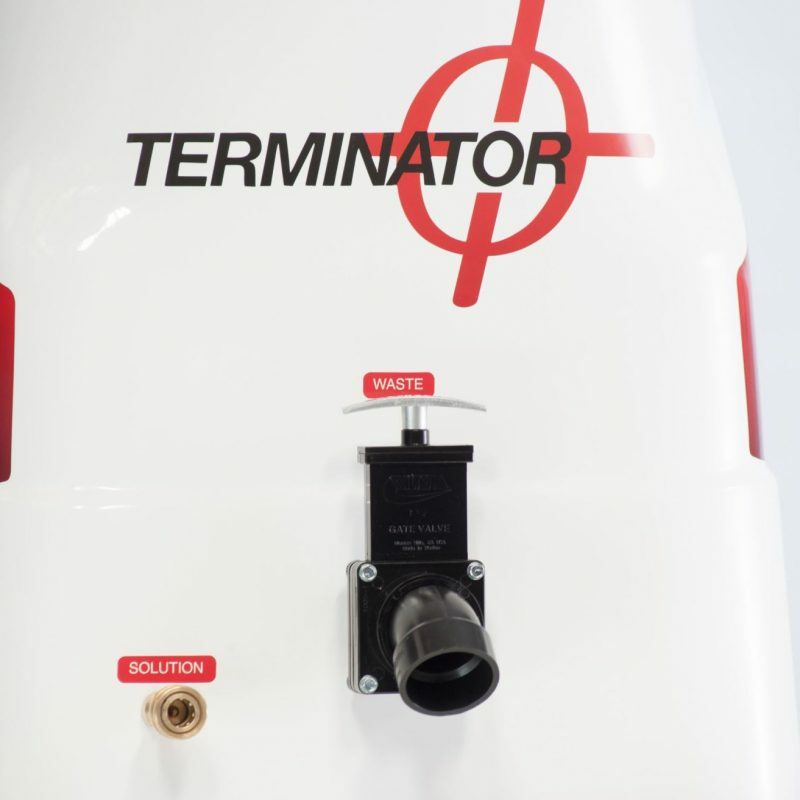 The rugged all metal housing provides the power and durability to withstand punishment and last through the toughest jobs. It is equipped with a powerful 3 horsepower electric motor which can even do marble and concrete grinding. Mitchell GS-13 Multipurpose Rotary Scrubber is an easy to use all purpose floor machine designed for use in tight spaces. It is equipped with a 1 hp motor, producing 175RPM capable of completing a range of tasks including scrubbing, buffing and polishing. Its rugged all metal housing provides the power and durability to withstand punishment and last through the toughest jobs. 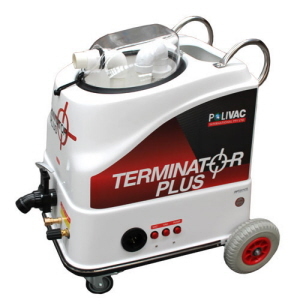 Compact and built tough to last in commercial cleaning environments.